Beach Runs. 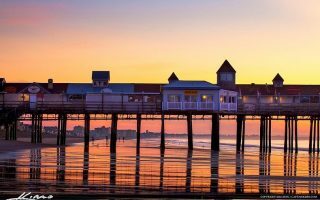 Ogunquit Beach, Wells Beach, and Old Orchard Beach are all long, wide, flat, and have firm compact sand that’s great for running. Shore Roads. Hands down, Ocean Rd. 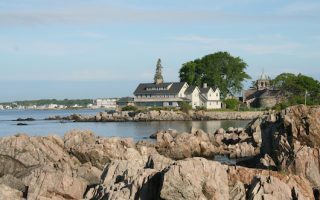 in Kennebunkport is our favorite, with great views, historic sights, just the right light at a certain time a day, and perhaps a wave hello from the Bush compound. Waterfront Trails. Marginal Way in Ogunquit is a treat for running when its not too crowded. 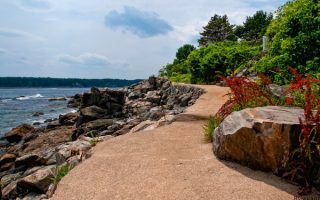 And don’t miss the cliffside trail in York Harbor. Best Run to a Lighthouse. Cape Neddick out to Nubble Light. Park or Preserve. Beautiful running in the grasslands and marshes of the Wells Reserve. Hit it late in the day for great light. 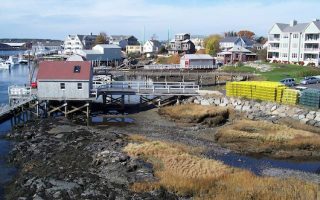 Best ‘Loop’ Runs: Portsmouth, NH to Kittery, including Peirce Island, and our Kennebunk to Kennebunkport waterfront run. Best Off-Road. 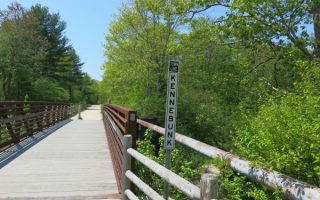 Best off-road sections of the 65-mile Eastern Trail are Kennebunk to Biddeford, Saco to Scarborough, and in South Portland. 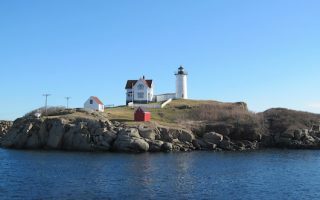 Note we also have comprehensive guides to the New Hampshire Seacoast just to the south, and Portland, just to the North. Lovely running in this hip and historic port city on the Picataqua River. Enjoy the main streets, Prescott Park, and grounds of the Strawbery Banke Museum. We've also included a 7.5 mile loop out to the island of Newcastle. A really fun run with great water views and a variety of sights and terrain. 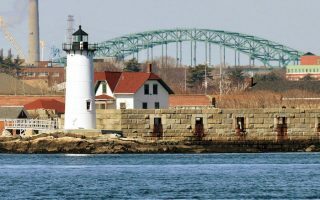 It includes a tour of Peirce Island, and then the Memorial Bridge over to Kittery, ME. For a longer run, explore the streets of Portsmouth or do a section of our New Castle route. 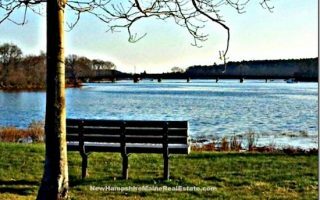 There's more to Kittery than outlet stores! We've put together a route map that mainly follows Rt. 103 and then Chauncy Creek Rd north toward York. This is the best spot in the area for water views. Up to 3.4 miles one-way. Great running variety here. A fantastic 6-miler combines the 1.6 miles on Rt. 1A along Long Sands Beach, with great the 2-mile tour of Cape Neddick out to the Nubble Lighthouse. For a challenge, run the road to the summit of Mt. Agamenticus. This is a lovely 10k run incorporating the best of historic York Village and the seaport town of York Harbor. Much of the route is along waterside roads, including the path on Wiggly Bridge over the York River and the Cliff Walk in York Harbor. One of our favorite beach runs in New England. 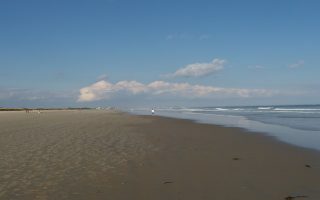 The 2.4 miles on the beach between Ogunquit and Wells are wide, flat, open, and offer consistently good “beach running” conditions. Numerous access points. Fantastic ocean views along the 1-mile shoreline path between Ogunquit and Perkins Cove. 2.2 mile loop with a run back along Shore Rd. For a longer run, enjoy the side streets off Shore Rd. 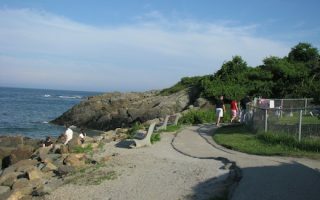 or a section along Ogunquit Beach. There are wonderful running options in Wells. The 4+ mile beach is perfect for running. 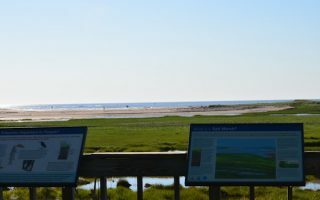 Or, run for up to 4.5 miles through a classic summer beach colony on Ocean Ave. & Atlantic Ave. Wells Reserve offers 7 miles of trails through marshes and grasslands. Wonderful waterside running in this popular summer report area. In Kennebunk, run for nearly 2 miles along Beach Rd., paralleling Kennebunk Beach. 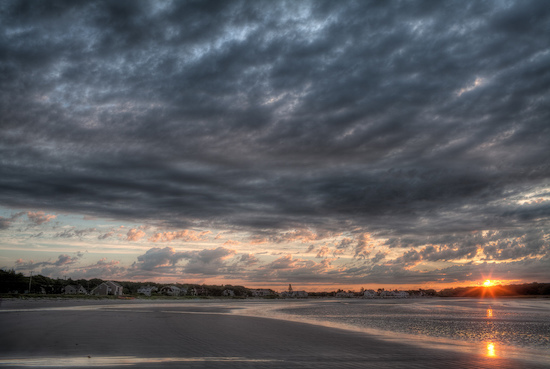 In Kennebunkport, the run along Ocean Ave. is one of our favorites in Maine. A fantastic beach for running. It’s nearly 7 miles from the southern end at Camp Ellis to the northern end at Pine Point, with great views of Saco Bay and Prouts Beck. Flat and wide, with firm sand. Wonderful off-road running between Portsmouth and Portland. 30% of the 65-mile trail is complete. Mainly inland, through woods, marshes, & farms. We've outlined the best off-road sections and included a link to their fabulous brochure. The popular spots listed in this running guide have a large selection of hotels in season, ranging from high-end inns and resorts to old-timey shore motels. 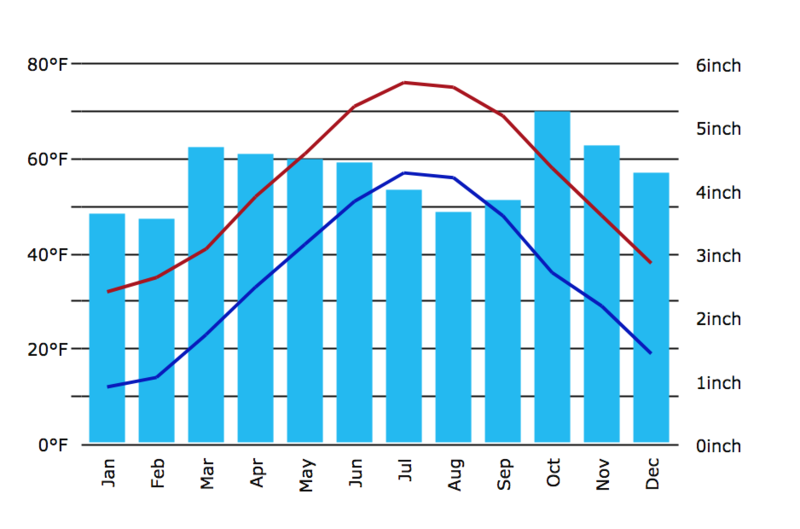 Note that many of these close in the off-season (end of October to Memorial Day). You’ll likely have a car in these parts, but it’s always great to try to stay near one of our favorite routes! There are two independent running stores in the 65-mile stretch between Portsmouth and Portland. Runner’s Alley. Great store in Portsmouth. Group Runs: Thursday 6pm and Saturday 8am. Fleet Feet Sports Maine Running. Wonderful store in downtown Portland. Run Club Tuesdays & Thursdays at 6pm, Saturdays at 9am. Nike Factory Store. Among the several outlet stores in Kittery where you might find bargains on running gear. Red Hook 5K. Portsmouth, May.